Hey! Robin here with a cute little mini album featuring Gypsy Road. 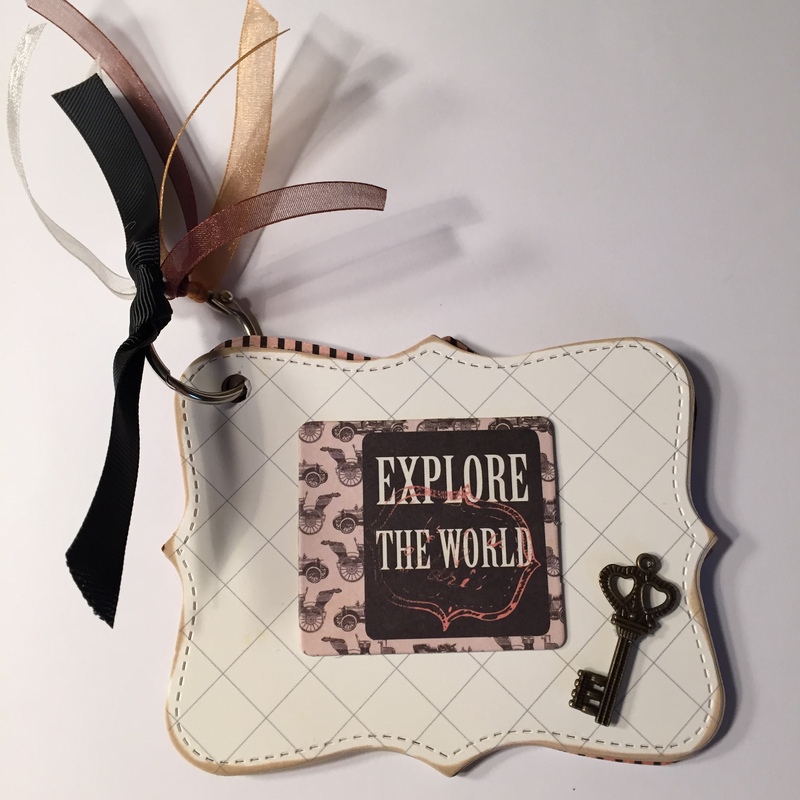 I absolutely love making mini albums and when I saw the new paper collection, I wanted to make one. This is a quick project that you can make to show off your travel pics. 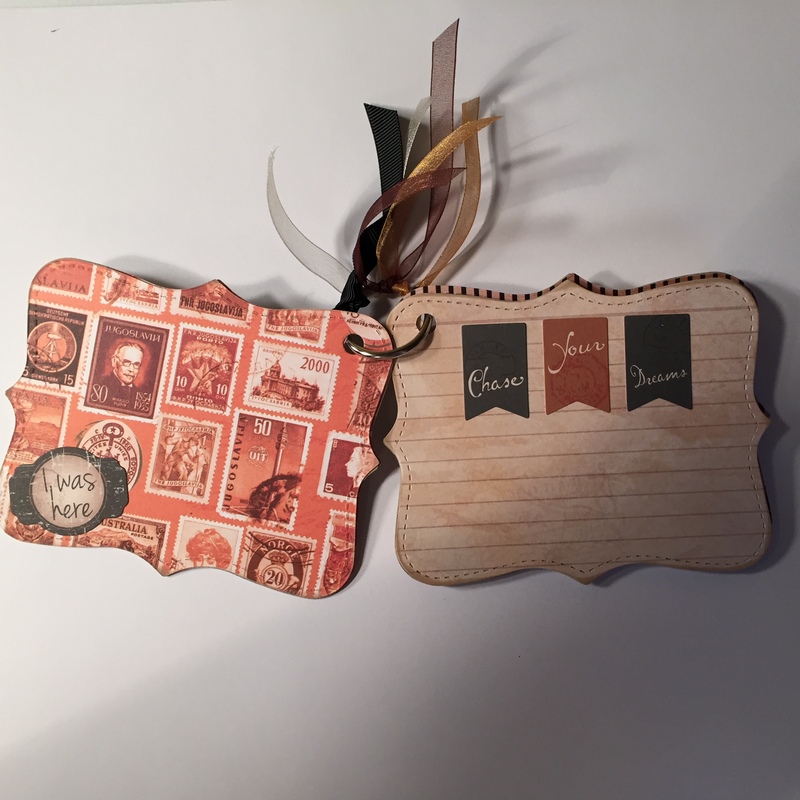 The base of my album is chipboard. 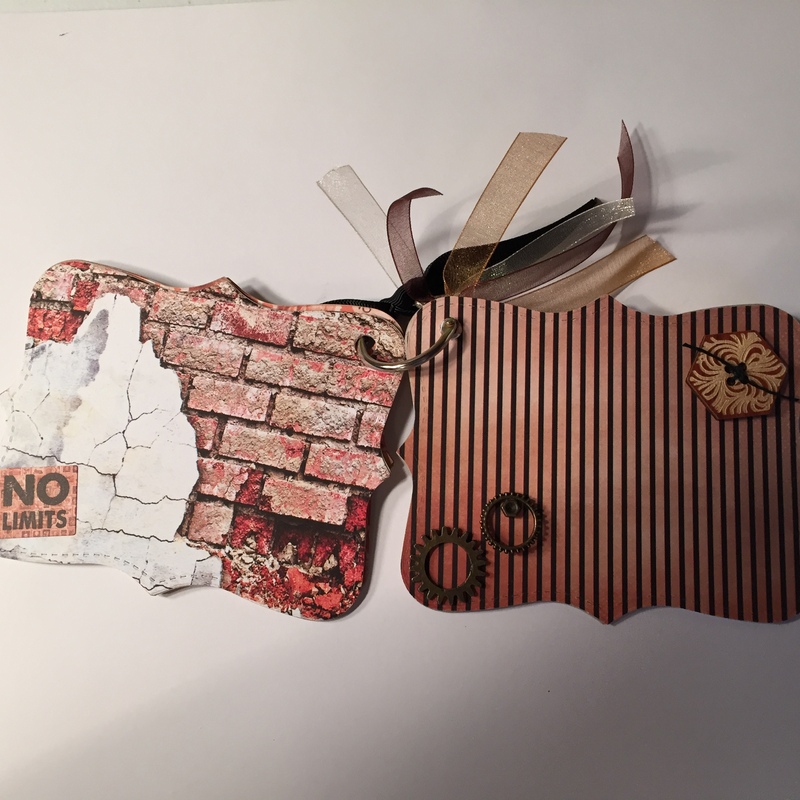 The papers and chipboard were cut to shape using a die that I had in my stash. All of the metal accents and ribbon was from my stash. 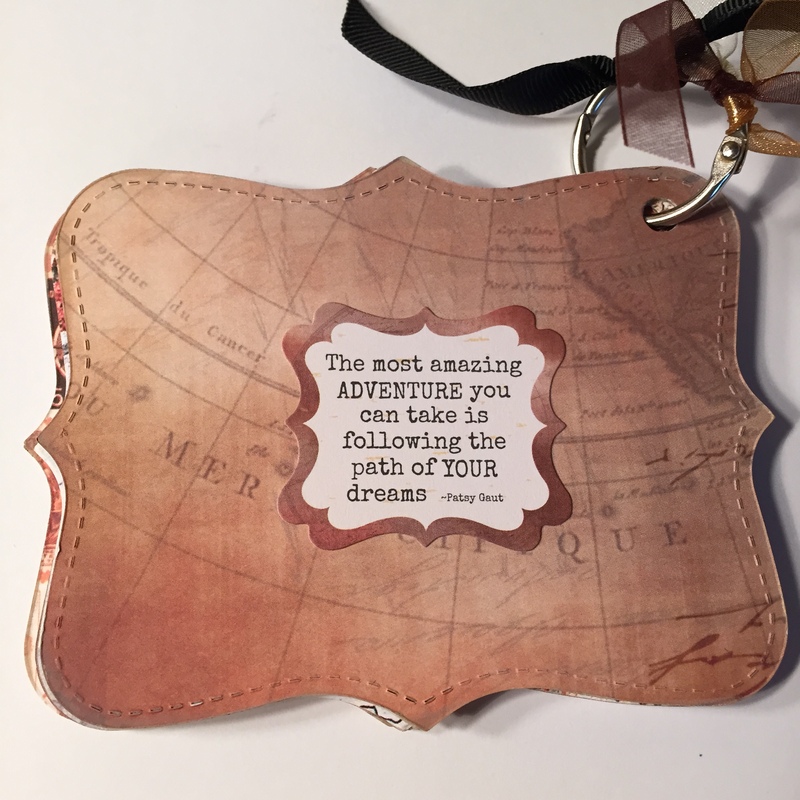 I used design paper from the Gypsy Road collection at Quick Quotes. All of the paper and chipboard was inked with the new Warm Sand Chalking Ink. The stickers and die cuts are all from the Gypsy Road Collection. This is an awesome collection for a mini album or any paper crafting project. They are absolutely gorgeous papers. I hope you like the album. I love this idea. Thank you for inspired me Robin!